Announce your success with one of these fashionable Ties. Makes a great gift or award for a job well done. 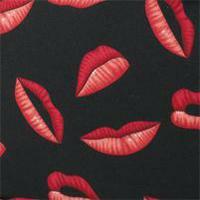 Available in 2 styles: Money or Red Lips (see swatch). Please select style when ordering. One left.